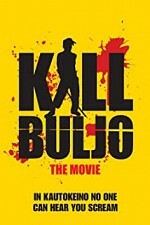 Watch Kill Buljo: The Movie: Jompa Tormann and his guests and family are brutally gunned down during an engagement party. Sami- and women-hating police officer Sid Wisløff is put on the case. Together with his colleague Unni Formen and Sami guide Peggy Mathilassi, Wisløff tries to find the guilty party, but Jompa Tormann survived and he wants revenge!